Mark Burrows is a writer, composer, and clinician whose works are published by many major houses. His choral pieces, musicals, and music education resources top numerous best-seller lists. Mark is currently the Director of Children’s Ministries at First United Methodist Church – Fort Worth, Texas, where he leads the weekly Children’s Message, as well as a monthly worship service for children and families called Children First. 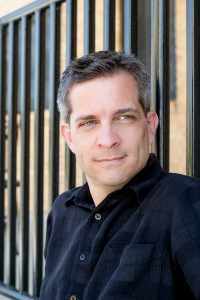 Mark received his undergraduate degree in music education from Southern Methodist University, and his graduate degree in conducting from Texas Christian University. He lives in Fort Worth with his wife, Nina, and their two daughters, Emma and Grace.